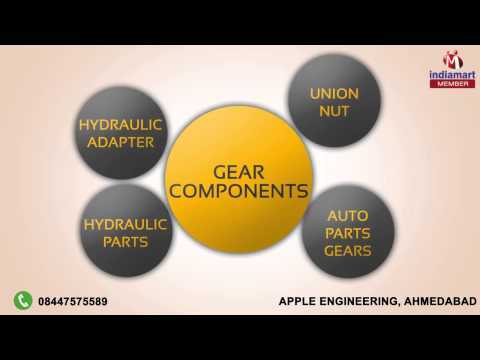 Welcome to Apple Engineering, established in the year 2007, we are the manufacturer, supplier and wholesaler domain that offer an impeccable array of Precision Machine Components. Along with this, we are offering a large array of Gear Components, All Kinds of CNC Turned Components and Pneumatic Actuator Rack Pinion Shaft. Also, we reach to our customers on timely basis and offer quality sorted range of products which is all due to our effective wide distribute network facility. Our hired personnel have prominent knowledge of domain and have work dedicatedly round the clock to produce only high quality products. Being as a trusted brand of domain, we follow ethical business transactions in our operations and work to provide full satisfaction to our customers. We pay strict care to the timely shipment of orders and cater to our customers based all over the nation. Also, our easy payment mode facility is provided for the ease of our clients.